But the $57 tour that we purchased through Smartours was well worth it. 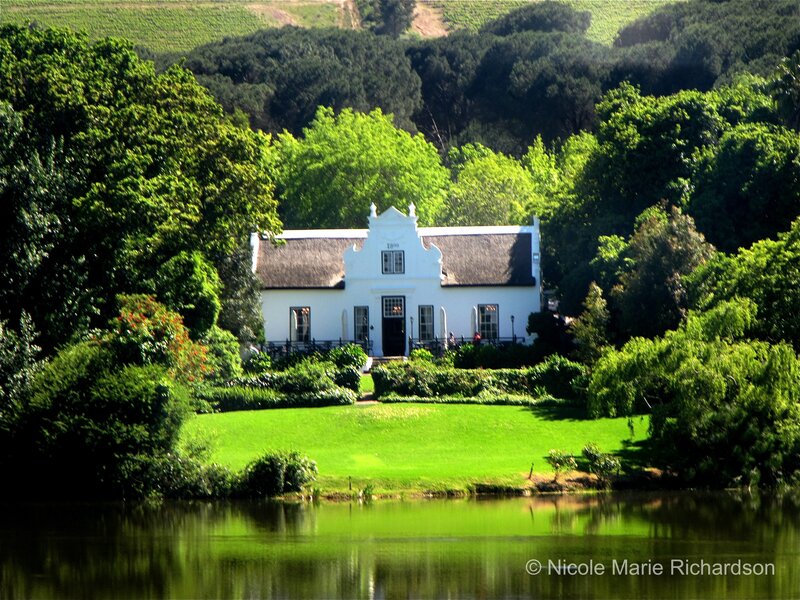 The Winelands are about an hour drive from Cape Town and are made up of over 100 estates, 66 co-operatives and more than 100 private cellars. 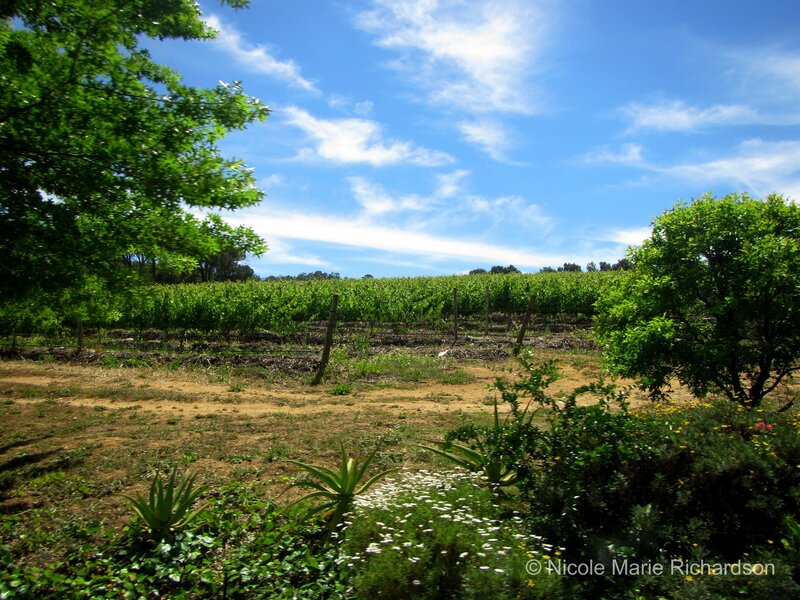 Our tour included a ride on a big, comfy tour bus to the wine estate Zevenwacht, a wine and cheese tasting there, and then a stop in the quaint and historic town of Stellenbosch. Zevenwacht has large fields with neat rows of grape vines and a modestly-sized main house sitting at the head of a large pond. Its cellars are not the ancient stone places I was expecting, but rather large warehouses filled with wine barrels, located below a cute wine and gift shop. I dared to taste the wine, and to me it was vile, but to the more experienced palates in the group it was amazing. 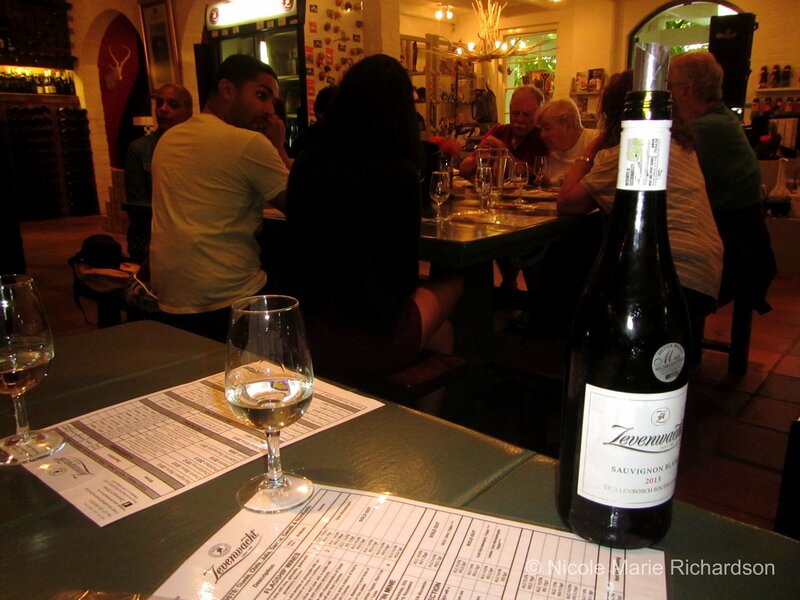 We tried three white wines and one red, with different cheeses that are supposed to enhance the flavors of the wine. 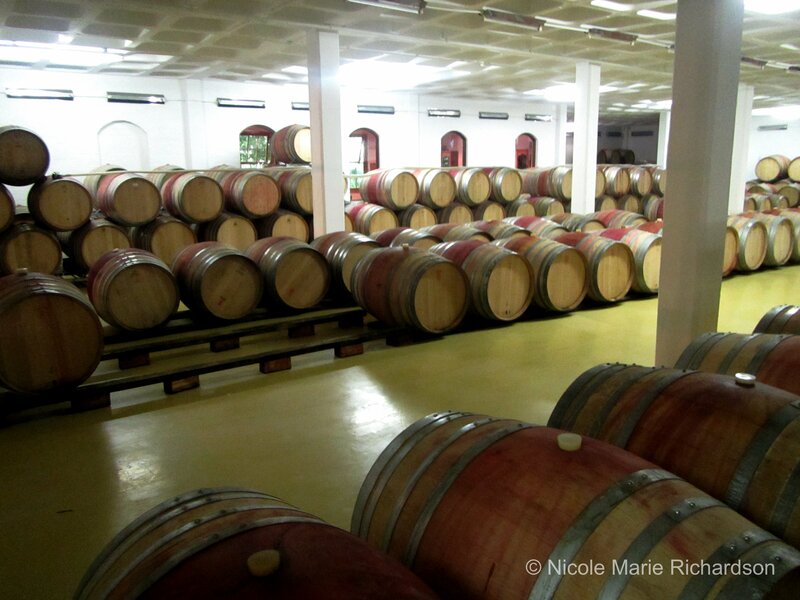 After our tasting, we toured their main wine cellar, packed with neat rows of barrels. Our host talked to us about what the barrels are made of, how much they cost, and how often they can be reused. She elaborated on how the barrels add to the flavor of the wine. She spoke about how many people the estate employs and how vested they are in those people and their families, and the legacy they have with the estate. The grounds are gorgeous and are often used for weddings. 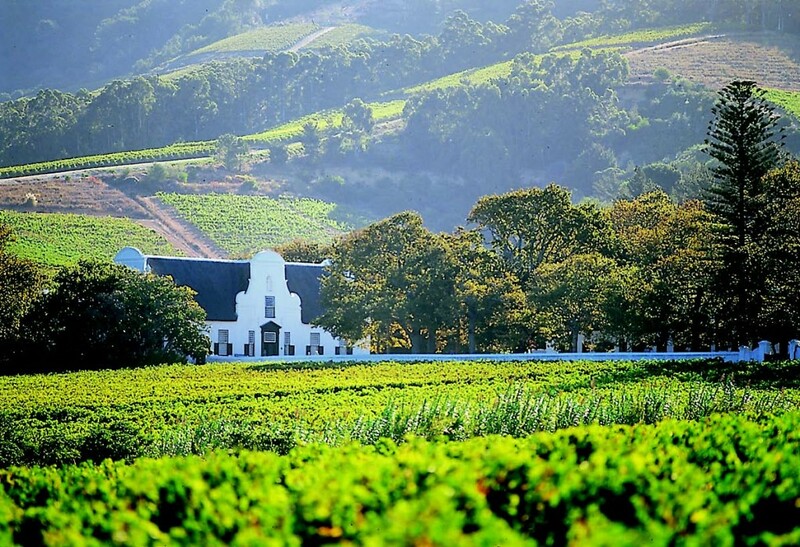 From Zevenwacht, we headed to Stellenbosch. 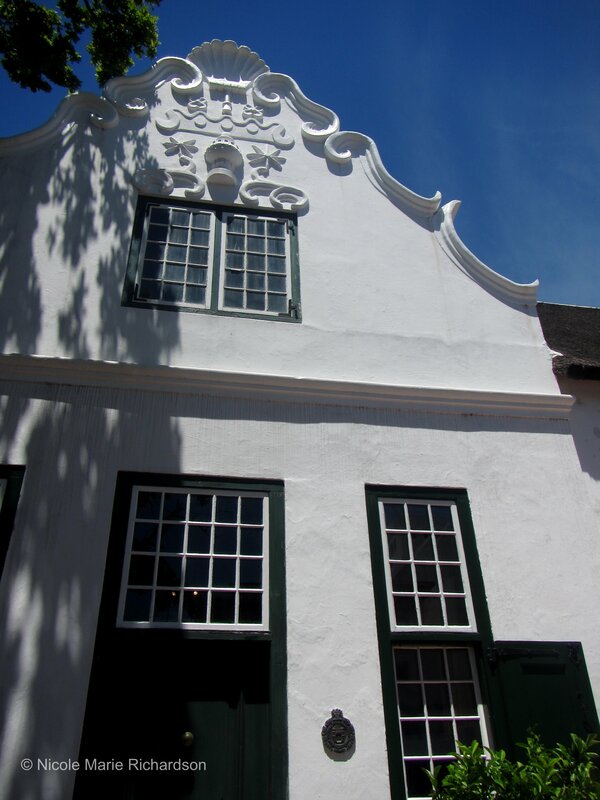 It is the second oldest European settlement in the area, after Cape Town. 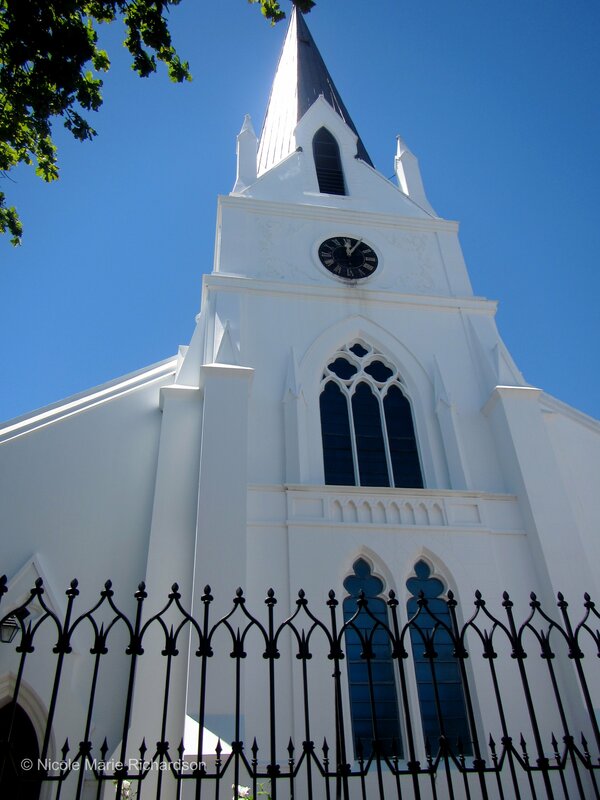 The buildings are a great example of Cape Dutch and modern-Victorian architecture. The main street is lined with cafes, shops, an university, and art galleries. The town is a dream for people interested in history–there’s a great Village Museum that is a collection of four period homes from the 1600 though 1900s. After touring the museum, we did some shopping on Church Street, the main shopping street in the town. I bought several items from R&J African Arts & Crafts. The two men there were very helpful and willing to bargain. Then we headed to Java Cafe and Bar for a quick lunch. While heading back toward the bus we saw some children dancing in the street with no particular audience in mind. They were adorable but their dancing was haunting. 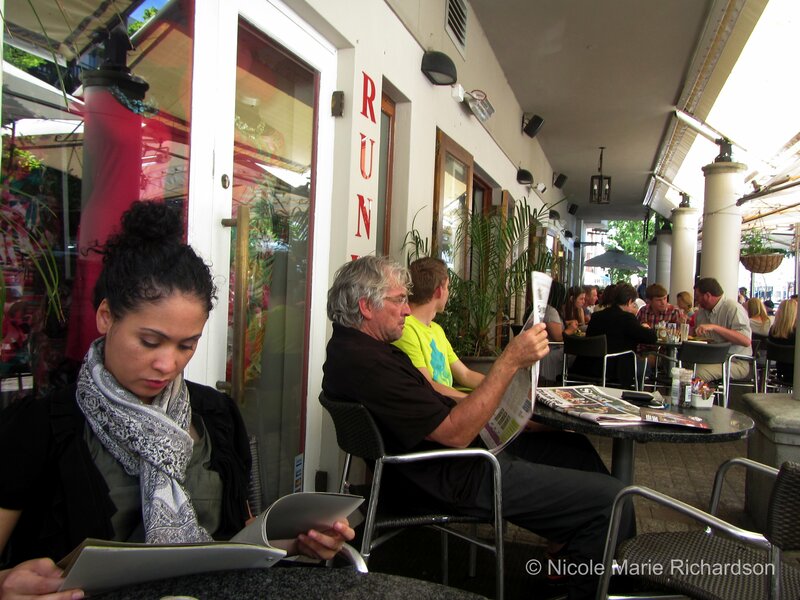 I would have loved to spend more time in Stellenbosch, but we only had a few hours. It’s definitely worth a visit. 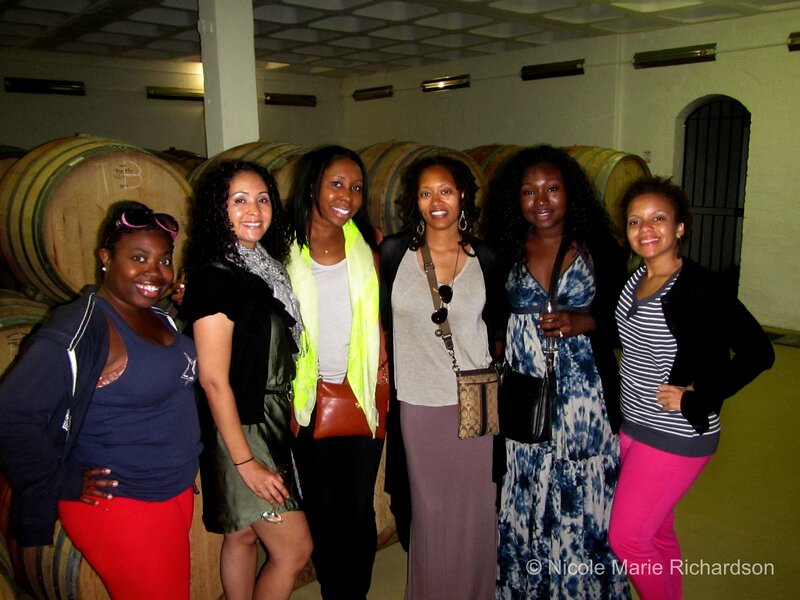 Our tour guide also told us that there are MANY wine tasting opportunities at all the different wineries. Here’s a list of all the wineries, tours, and tasting schedules. For the lushes out there, it’s possible to hop in and out of wine tastings all day long!